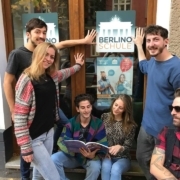 Berlino Schule provides students with four kinds of German course: intensive (morning), extensive (evening), super-intensive (Summer School) and private lessons. SPECIAL OFFER FOR JANUARY 2019 COURSES! IF YOU BOOK AND PAY WITHIN DECEMBER THE 20th; YOU WILL GET 10 EUROS DISCOUNT! Learning German is no easy task. Students often claim ironically: “Life is too short to learn German”. It can be true, in some ways. In fact, even Germans have troubles with their own idiom, and this may comfort us. In this connection, the popular magazine “Die Welt” has created a quick Quiz-test, with ten German words that even native speakers fail to write. The meaning of this word is easy to understand: the daisy, (indeed!). The correct orthography of the word is Margerite; yet, Germans often write Margarite, Margharite, or Margarithe. As an interpretation, we may assume that they confuse the above-metioned word with real names, such us Margarete and Margarethe. Germans use this word to refer to little and cute cats (“kitty” in English) as well as to young women. As the diphthong “ie” is pronounced as a long i, and the Phoneme “tz” sounds like a z in German, native speakers often end up with writing Mitze, Mize, Mietze. Um Himmels Willen matches the English version “For God’s sake!”and raises doubts among native speakers, as well as among German language learners. Considering the fact that German has loads of compound words, it might happen to misunderstand two distinct words: Himmel willen and the single word Himmelswillen. The other issue is whether willen, which means to will, has to be capitalized like a normal substantive. Raffinesse means both refinement and cunning/shrewdness. Perhaps beacause of its French origins, the word might put native speakers in trouble, overlooking one or even both the doubles. The word, which is also an English term, has a Latin origin and this is probably the reason why German native speakers tend to fail writing it, by mistaking K and Q sounds, and adding a H.
Abwegig means “wrong, misleading”. German people often write this word with a Ä, which sounds like an open A. It might happen Germans to substitute the I with an Y, Algorythmus. The mistake is perhaps due to the word Rhytmus (“rhythm” in English), which actually sounds similar. Gefeit means “immune, invulnerable”. 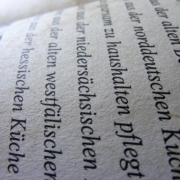 Native German speakers sometimes write it incorrect, by adding letters: gefeiht, geffeiht, or geffeitt. Gemanagt, which means to be organized and managed, is the past participle form of the verb managen. The past participle form of German regular verbs is formed by adding a -t at the end of the verb stem. 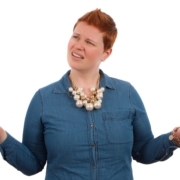 However, managen comes from the English to manage and this derivation is what actually leads native speakers to confusion. 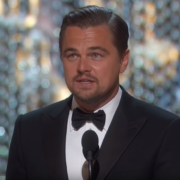 In particular, the issue is whether to respect German language rules and consider it as a German verb, or to simply add the ending –ed to the verb stem, hence to preserve the English version. This word has a curious origin: it comes from an old dialect of the South-West of Germany. Eigenbrötler means literally, “who makes the bread himself”. It contains in fact the word Brot, which means bread. With this term, Germans used to indicate those people, living in nursing centers, as well as unmarried men taking care of themselves. The word has then assumed the meaning of “misanthrope, maverick, loner”. Commons mistakes? Wrong versions such as Eigenbrödler or Eigenbröthler. Would you rather avoid mistakes whilst writing in German? Why don’t you attend one of our courses? Here you can find all the information you need! There is no better learning approach than combining theory and practice. What a better chance than studying right in the country in which the language is spoken? By learning German in Berlin (as well as in other cities in Germany), you will in fact put your linguistic skills in practice. Just to make an example: Germany is Italy’s first trading partner. Except for Spain and Portugal, German sets itself as key language for the European trade. Besides that, Germans are also Italy’s most significant customers (39% of incoming tourists comes from Germany). It is therefore clear that a good knowledge of German may benefit you in any circumstances. The results? A more rewarding job and a higher salary. Youth unemployment in Germany is relatively low. This implies great chances to find occupation in Germany. In particular, if supported by a good knowledge of German, it will be easier for you. No advanced level is necessary, though: many companies do not require it. Your German will naturally improve once you get on the spot. 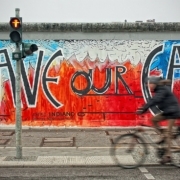 Berlin is timeless: it reinvents itself every year without losing its everlasting charm. It also represents one of the most economical and bustling cities in Europe. Living and working in Berlin is simple and rewarding: public transports are extremely functional and well-organised and connect the whole city even during the night. Last but not the least. Berlino Schule can be a big springboard whether you want to settle down in Berlin. Our school, located in Berlin-Friedrichshain, provides you with qualified teachers, who have been teaching German for lots of years. Moreover, it has the best quality-price ratio, providing you with a proper language education, with qualified and German native teachers from just 4€/hour*. Not to mention that, if you are in need of an accomodation, we can help you find the right one for you. 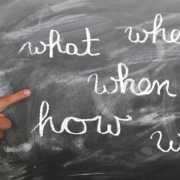 Berlino Schule offers two kinds of intensive course: afternoon and morning courses. Our next afternoon course is starting on 27th November. Classes will take place 4 times a week (from Tuesday to Friday, 14:45-17:15). The course will last four weeks, for a total amount of 48 hours. Our intensive morning courses are starting on 3rd December at Berlino Schule and they will last 3 weeks, for a total amount of 48 hours: classes will take place 5 days a week (from Monday to Friday), 3 hours per day, from 8.45 to 11.25 or from 11.40 to 14.20. 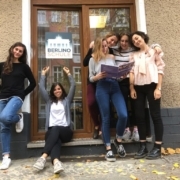 Evening German courses are starting on 7th or 8th December at Berlino Schule and they will last 8 weeks, for a total amount of 48 hours: classes will take place twice a week (Monday and Wednesday or Tuesday and Thursday), 3 hours per day, from 19.15 to 21.40. You can also join the evening courses, which have already started! 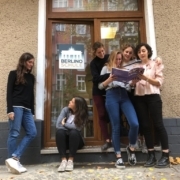 Intensive German courses are starting on 8th January at Berlino Schule and they will last 4 weeks, for a total amount of 48 hours: classes will take place 4 days a week (from Tuesday to Friday), 3 hours per day, from 8.45 to 11.15 or from 11.40 to 14.10.